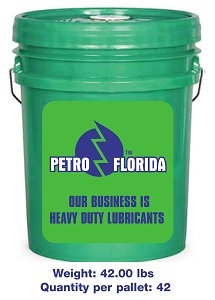 UNIVERSAL READY TO USE FORMULA / NEW CAR ALUMINUM / ALL METALS PROTECTION PLUS MEETS HEAVY DUTY LOW SILICATE REQUIREMENTS (Ethylene Glycol Base). 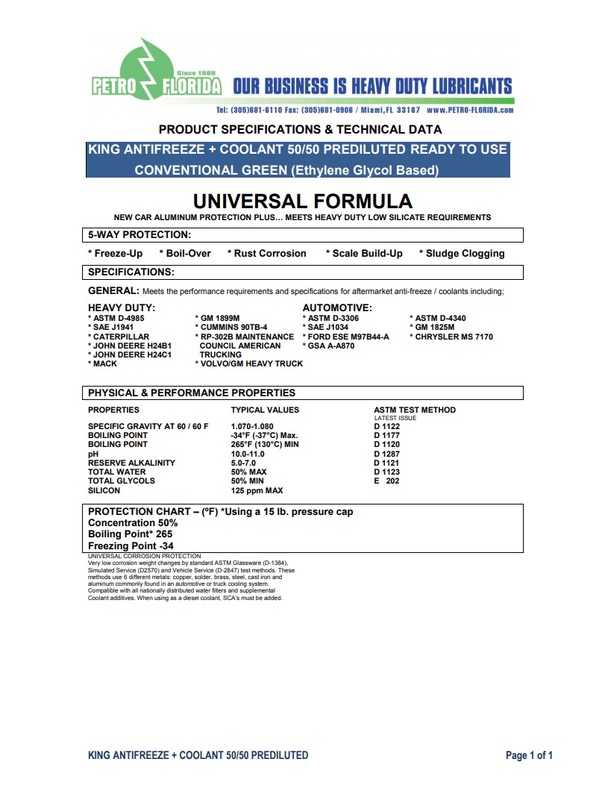 A ready-made 50/50 antifreeze is a coolant for heavily loaded diesel engines based on ethylene glycol without phosphate, which is diluted with deionized water in a ratio of 50/50. The cooling liquid of the finished formula provides optimum protection against cavitation, erosion, corrosion, scale, overheating and freezing for all heavily loaded cooling systems. Since the product already contains high-quality additives (SCA) and already diluted with de-ionized water, it does not require the addition of additives at the first pouring and at each filling provides the correct concentration and formula. it is a ready-made universal coolant formula with the following advantages: low level of dissolved substances, low concentration of silicates and presence of nitrite in the formula, which provides unsurpassed protection of the cylinder liner from cavitation. An additional advantage of use is a phosphate-free formula that reduces the risk of scale formation, as well as cutting-edge corrosion inhibitors that reduce the need for expensive deionized water.